January 14th in Wordpress Plugins by Wordpress Jedi . There are many good reasons you should have a FAQ section on your website. Customers and prospects expect to see your FAQ section to get answers to some of their questions. You could also use your FAQ page to teach your readers a thing or two about your products. You could always create it manually. 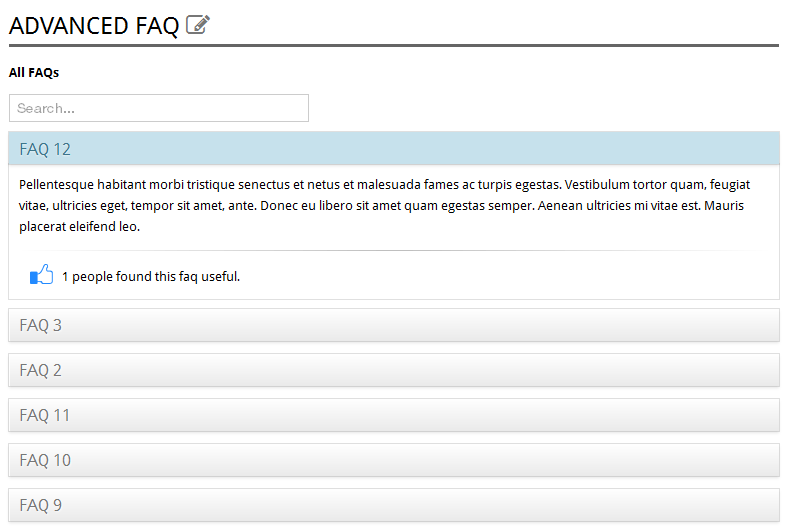 The BWL Advanced FAQ Manager plugin makes the job easier though. 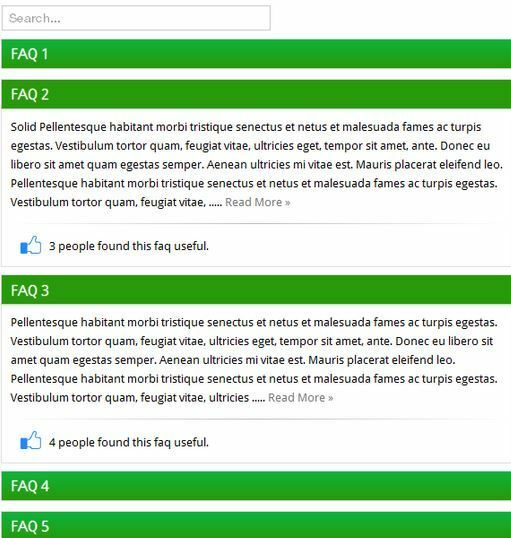 This cool plugin lets you add FAQ items and display them on a post, page, or sidebar easily. The design is responsive. Your visitors get live FAQ search too. BWL Advanced FAQ Manager is simple to use. Just activate it and start adding FAQ items. You get a FAQ widget to add to your sidebar. You also have shortcodes available. You get 7 preset themes and can have as many questions as you like. When visitors search FAQ items, they will see live results right away. The design is mobile friendly and wont break on smartphones. This plugin also lets you see how your visitors are reacting to your content (ratings). It does have a front-end Ask form and CAPTCHA security (which is not perfect but better than nothing). You could always use a theme to create a Q/A site just for your customers. What’s nice about BWL Advanced FAQ Manager is the fact that you don’t have to change your theme to use it.